Continuing on with my birthday week, I decided to try something new! This one was a big hit at my house, Chocolate Banana Cake Batter Shake! You have to try it! It is so so so delicious, and a new favorite of mine for sure, and I know that you’ll love it too! With my birthday right around the corner (5 days away now! ), I figured it was good time to share one of my FAVORITE cake recipes for this amazing Crockpot Red Velvet Cake! The following post contains affiliate links. To find out more, please click here. Doesn’t it look delicious? You know you want some! Soon you’ll see why this cake is my absolute, 100% favorite! Line bottom and sides of 5-quart slow cooker with single piece of cooking parchment paper; spray with cooking spray. Make cake batter as directed on box, adding food color with the water. Pour batter into slow cooker. Place folded, clean dish towel under cover of cooker. This will prevent condensation from dripping down onto cake. Cook on High heat setting 45 minutes. Carefully remove slow cooker’s ceramic insert, leaving cover on, and rotate insert 180 degrees. Continue to cook on High heat setting 45 to 60 minutes or until toothpick inserted in center comes out clean. Uncover, and transfer ceramic insert from slow cooker to cooling rack. Let stand 10 minutes. Using parchment paper, carefully lift cake out of ceramic insert, and transfer to cooling rack. Remove parchment paper. Cool completely, about 1 hour. Did you try the Crockpot Red Velvet Cake? 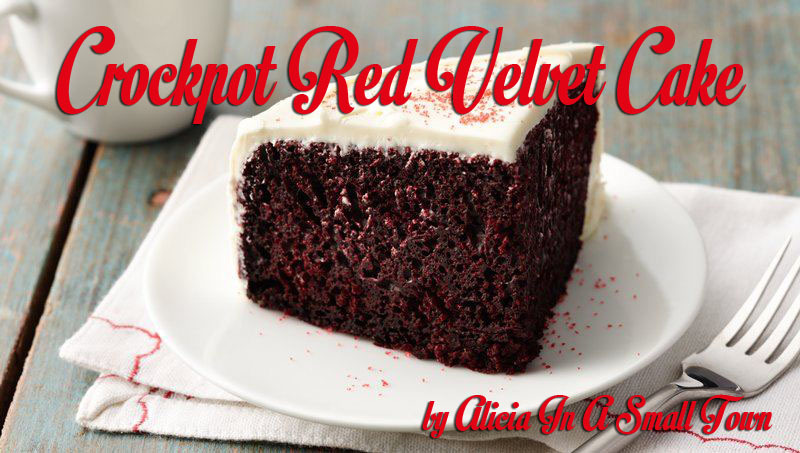 If you tried the Crockpot Red Velvet Cake, please leave a comment below and let me know what you think! I hope you loved it… It is my favorite for a reason, after all! 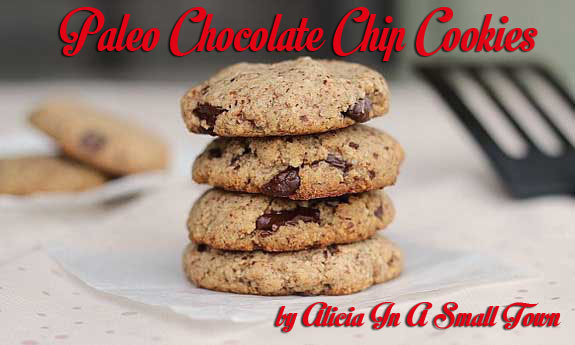 With everyone on diets and being health conscious nowadays, I decided to try something new for our special dessert today, and that is Paleo Chocolate Chip Cookies! Are you ready to get started? I sure am! Grease your cookie sheet and preheat the oven to 350. We recommend using a stand mixer or electric hand mixer to whip the batter together easily. If you have one, get it on out! Stir together salt, tapioca flour, coconut flour and baking soda. Set aside. Beat together the date sugar and softened butter with your mixer until nice and fluffy. If a mixer is not available, whip it up good with a giant wooden spoon and earn some muscle. Slowly add in the dry ingredients, and then water. Gently add chocolate chips. Drop dough onto cookie sheet and gently press flat. Bake for 12-15 minutes. Let cool entirely on cookie sheet before removing as they will stay together better. Did you try Paleo Chocolate Chip Cookies? If you tried these cookies, please leave a comment below and let me know what you thought of them! It was something completely new for us, but the boys loved it and we’ll definitely be having them again! If you’re in the mood for something ooey gooey, and just wonderful, this crockpot brownie pudding is for you! Are you ready to have this awesome deliciousness in your life? Well, let’s get started! This recipe SHOULD take about 2-3 hours from start to finish. Spray a 6-7 quart Crockpot with nonstick cooking spray. Prepare brownie mix as directed on the back of the box. Pour into prepared crockpot. Whisk pudding mix and milk in a medium sized bowl until smooth. Pour carefully over the brownie mix in the crockpot. Cover the crockpot with a paper towel and place the lid on top (to catch the condensation). Cook on high power 2-3 hours. It will probably take at least 2 1/2 hours, but start checking it after 2. Some of the pudding stays on the top and stays wet looking, so you cannot trust the toothpick test and it will stay somewhat jiggly until it’s done. Watch the edges – when they look somewhat dry and done, then the pudding is ready. Baking time will be different for every slow cooker, but after 3 hours on high it should be done. You don’t want to overcook it or the brownie (which is on the bottom) will be dry. Did you try the crockpot brownie pudding? If you tried this recipe, please comment below and let me know what you think! I really hope you loved it as much as my family and I did! The Best Oreo Dirt Cake! If you are looking an easy (and cheap) dessert that your family will love, look no further than this Oreo Dirt Cake! This is the best Oreo Dirt Cake that I have EVER had, and I just had to share the recipe with you… My kids love it, the hubs loves it, and I love it!